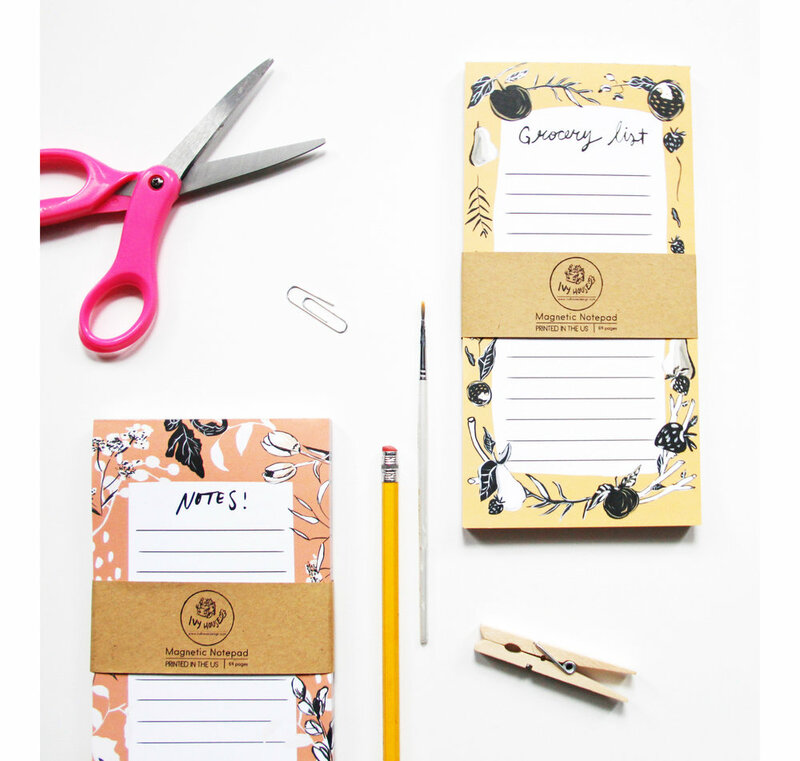 Beautiful, tear away note pad or grocery list for your fridge or desk featuring hand painted designs! Get this for yourself or as a gift! These note pads are 64 pages, 4.25 x 8.5", and have a chipboard back and strong backing magnet. Shop Here.